Danny Wood from the hugely successful boy band, New Kids On The Block recently connected with the country singer Jessie Chris (Billboard Artist To Watch) to record the duet, “Bodyguard.” The track was Produced by Dow Brain at Dow’s Place Recording in Massachusetts and was Mixed and Mastered by Pete Masitti at West End Studios in St. Augustine, Florida. 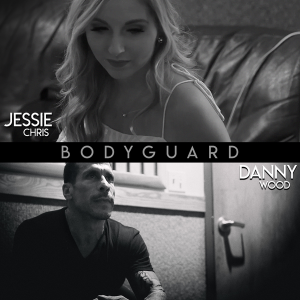 Jessie was first approached by Danny after he learned of her visiting 100 schools across the country to speak to kids about bullying and was inspired to write “Bodyguard.” In fact, in October 2018 Jessie was honored by TLC Network for her Anti-Bullying work in schools. In 2018, BillBoard released their annual Artists to Watch List and they selected twenty-one year Jessie Chris. Jessie also recently made her National TV Debut on TODAY Show when she was the first country artist to be named Artist of The Month by the legendary Elvis Duran. In December 2018, Jessie was named a Nickelodeon Fresh Face and her music video for her latest single “ROME” which she wrote for her performance at The Gracie Awards is currently on Nickelodeon. Danny Wood has been a household name for several decades and this year is a very special one as New Kids On The Block are celebrating the 30th Anniversary of the release of Hangin’ Tough and will embark on a 55-city tour this spring. Jessie, is it hard to believe that this duet happened? Jessie Chris: Yeah, it’s really hard to believe. Especially because it’s so unexpected in such an awesome way because I sing country music so I would never imagine I would record a duet with a member of New Kids on the Block. It’s so cool. I’m very excited. I was just watching your blog on YouTube about recording this duet with Danny. Can you talk about the background behind your song together, “Bodyguard” and how it’s honoring Danny’s mom’s breast cancer? What was the initial inspiration behind the song? Danny Wood: Well, initially it was going to benefit the foundation, but I do other things for the foundation and I really wanted to kind of put the message that Jessie tries to get across to all these young people she talks to at schools into a song. I know her manager, and I went online and looked at a bunch of her speeches and wrote down some notes and wrote the song and we did a video and we’re hoping everyone likes it. I loved the video and I loved that, Jessie, your cousin Christy was there for that. What was that like for you and for her? Jessie Chris: Oh my gosh. That was the most special moment ever, and she tells me that the was the best day of her entire life, and she has struggled her whole life and she has wanted to meet New Kids on the Block her whole life, and that’s how I knew about New Kids on the Block since I was little because she would always play their music and talk about how much she loves them. So when Danny asked me to record the song, my first question was can I please bring Christy? Because I couldn’t go into a recording studio with Danny and not bring Christy! He was nice and so cool about it. He was like absolutely. It was just honestly such a special moment to have with Christy because I don’t know how much longer I’ll have with her so to be able to hold onto that forever is just incredible. Danny, I’m sure you had experiences like this before with fans, right? I mean it must be incredibly moving every time something like this happens, right? Danny Wood: Yeah. I mean, stuff like this does happen. I mean, I deal with a lot of breast cancer patients through the foundation Remember Betty in honor of my mother. But her cousin was really sweet, and it’s easy to do stuff like that. I wasn’t even going to talk it. Jessie put it online, and I just was thinking I was going to meet her and that was it, but I’m also going to try to arrange for her to meet the rest of the guys at the show in Pittsburgh, right Jessie? She’s from Pittsburgh? Jessie Chris: Yeah, she’s in Pittsburgh. That’s amazing. I’d love to know to know a little bit more, Jessie, about how your anti-bullying tour has influenced you as a musician and the kind of music that you want to make going forward. Jessie Chris: Absolutely. Being bullied and then doing this anti-bullying tour has really shaped me into a different person, and I’ve really grown into the person I am because of those experiences. And it’s really made me stronger and just have a totally different outlook on life and everything. My song “Rome”, which is my most recent single before “Bodyguard” came out, that is a song that I needed to hear when I was a little girl to remind me to never give up no matter how hard it is and it’s not going to be easy. Sometimes when I have a bad day I need to listen to it. If I can be able to help other people with that message, then I’ve done my job and that means a lot to me. I think it’s really important to have some of the things I’ve learned and experience come through my music because I know there’s so many people that are experiencing similar things growing up. Are there plans at all for New Kids on the Block to go on something similar? This anti-bullying school tour? I mean that would be pretty powerful! Danny Wood: No, there’s no plans for that. That’s Jessie’s thing. I mean we’re older guys. The kids at those schools aren’t going to know who we are. That’s Jessie’s thing. We do all our own charity work individually. Back to the song, how did the song first come to you, Danny? Danny Wood: Actually just listening to Jessie speak about bullying and her talking to these kids. I started writing down words and notes and picked up the guitar and started trying to come up with some ideas and melodies, and it came very naturally and very quick, and then I sent a demo of it to Jess, and then we went from there and turned it into a duet. I’m very, very proud of it. And it feels good when you write something about people take it to heart, and a lot of the reaction has been it touches people, and I’m very proud of that. There’s a little bit of a country tone to it. Is something that you’ve always been in love with? Danny Wood: I wouldn’t say I’ve always been in love with country music, but I’m in love with songwriters. It doesn’t matter, country, pop, rock, whatever, rap, whatever it is. I’m into great songs. I listen to a lot of great country songs that I like. It was kind of natural because that’s what Jessie does so it was easy. I didn’t overdo it. I just went in and did the production and added little touches that might give it that little country flavor. Are there plans for Jessie perhaps to come along on your upcoming NKOTB tour and sing it on tour? Or maybe that’s pretty hard to schedule I’m assuming. Danny Wood: Yeah, that’s a little bit of a different thing. The New Kids thing. This is my solo stuff and duet with Jessie. We’ll see what happens. I obviously want to perform it at some point. Will you be putting out more solo material, Danny? 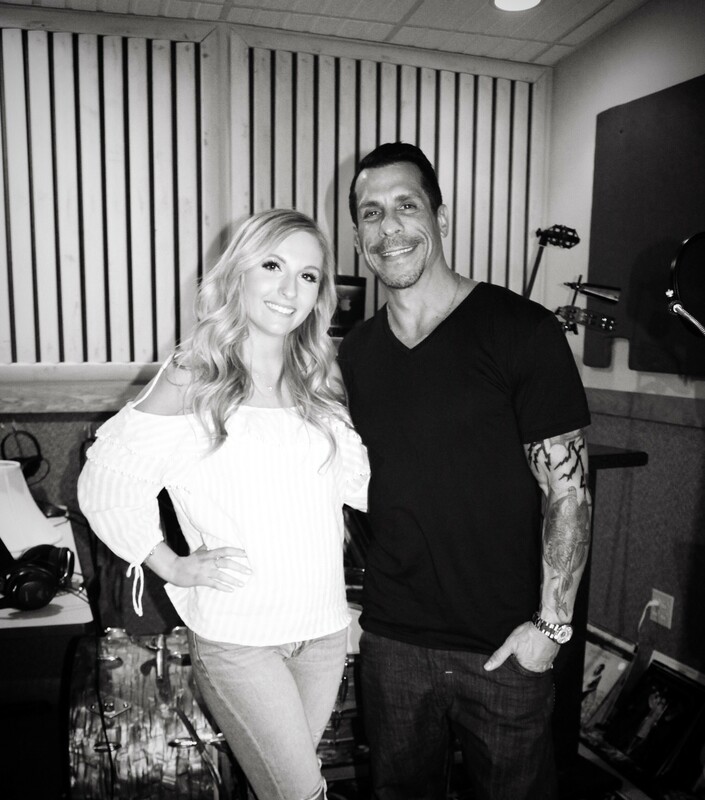 Danny Wood: Yeah, in the Fall I plan on putting out an album with all the proceeds going to Remember Betty, and that’s the joy of being able to do my own music on the side without the New Kids. I get to be creative and it’s for charity, and I enjoy it so hopefully in the fall I’ll put out. I have a bunch of songs done written so I’ll put it out in the fall. And Jessie, what’s up next for you? Jessie Chris: New music coming out later this year and just more traveling and more school visits and just hopefully taking things to the next level and getting my music out there. And just to wrap up before I let you guys go, at the end of the day I think we all look to music to inspire us or to lift us up from whatever we’re going through. What do you hope that listeners are taking away from this powerful song? Jessie Chris: I hope that people think of whoever it is in their life that makes them feel safe and makes them feel happy, and maybe it reminds them to tell them how much they love them and appreciate them. And I also hope that it could possible inspire either kids in school to stand up or be friendly to kids that are being bullied or parents who maybe take notice of their kids being bullied to really try to be a bodyguard for anyone that they see struggling with bullying. And Danny, anything to add? Danny Wood: My answer would be pretty similar, but also I’d like to add on to it that I would love people to notice Jessie and her talents and especially what a great heart she has.